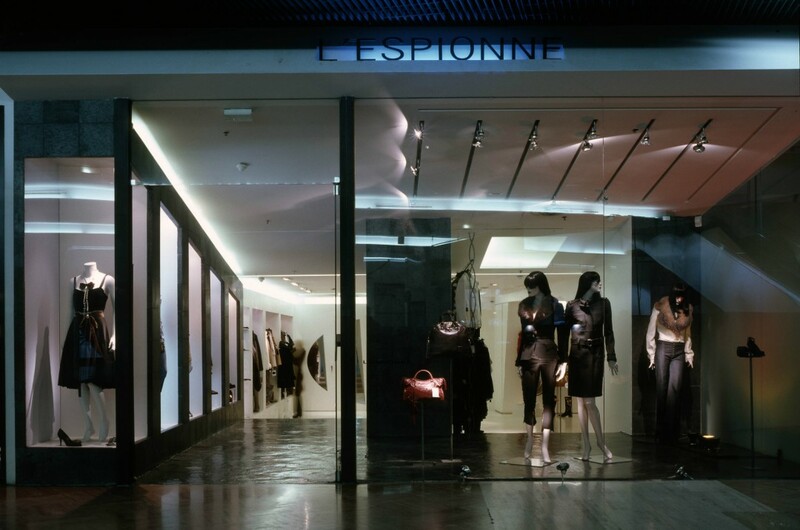 The project involved transforming the interior and facade of a designer ready-to-wear boutique presenting models from top fashion designers such as John Galliano, Thierry Mugler, Jean-Paul Gaultier, and Vivienne Westwood among others. 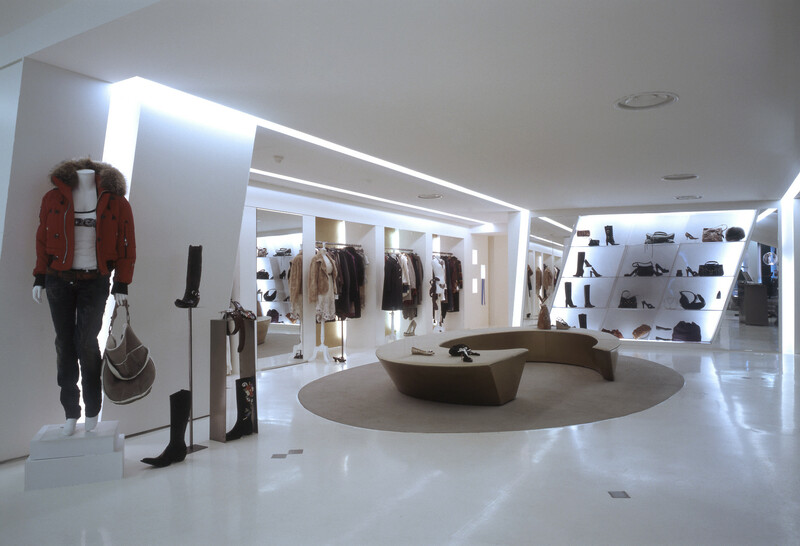 Christian Martin, the client, asked Elizabeth de Portzamparc to design a very open space that would contrast with conventional chic. The idea was to combine comfort and elegance and give customers the best possible experience. 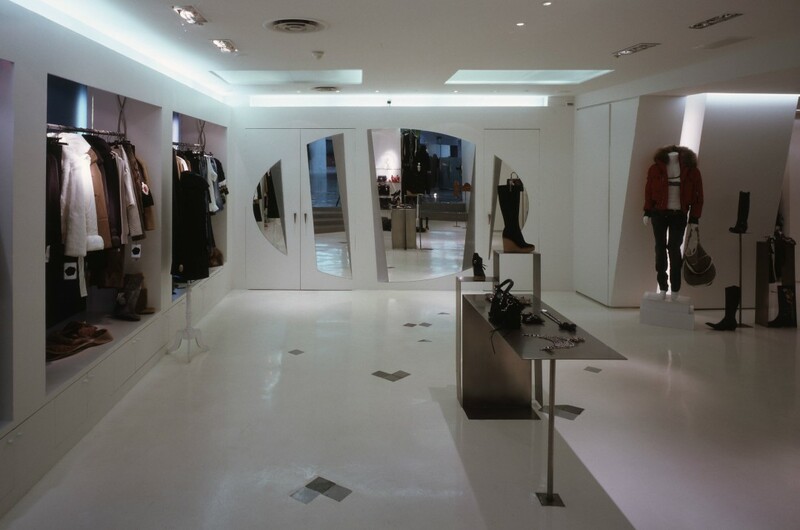 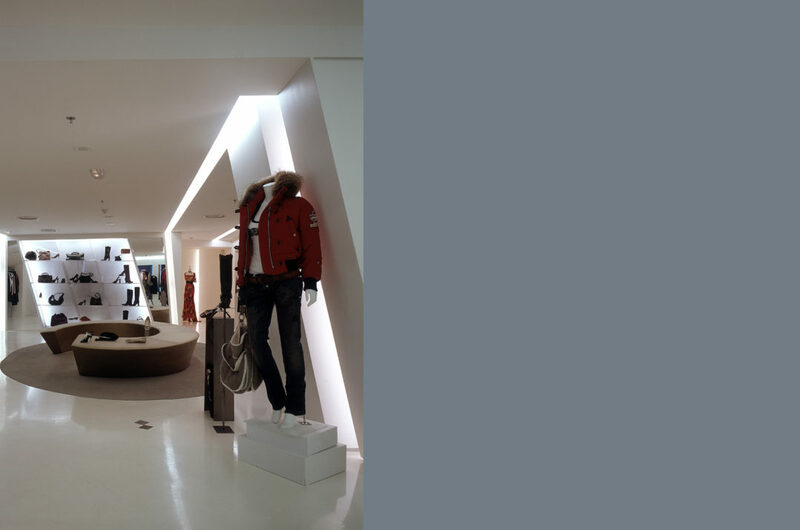 The designer thus decided to entirely open the space up from the interior facade to extend the volume of the boutique. 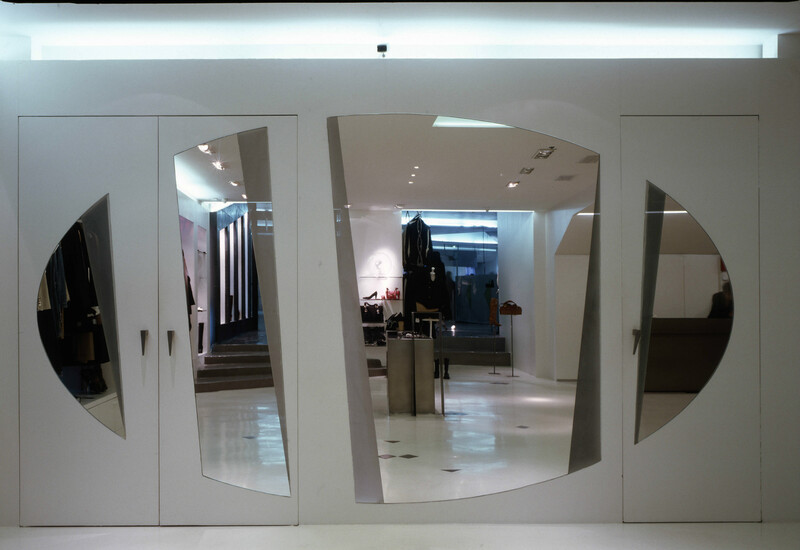 She designed a dark entrance creating a dramatic and theatrical atmosphere contrasting and emphasizing the boutique’s vast white interior.